Colourful promotional products are the way to go, and the promotional Rainbow Lollies Baby Jar will surely impress. Give your marketing strategies high impact value! Choose promotional items that will build up your corporate image. Get something unique and different and watch them do a great job! Be ahead on marketing promos by picking right and smart promotional items just like the promotional Rainbow Lollies Baby Jar. Our personalised Rainbow Lollies Baby Jar is a great promotional item that will perfectly fit into your marketing plans. Charm your guests, clients, and associates with delectable 50g rainbow lollies in mixed sweet colours in a charming clear plastic baby jar. They will find the great looking and great tasting custom Rainbow Lollies Baby Jar irresistible! Feel good to see big smileys appear on your clients’ faces as they enjoy the delicious rainbow lollies. The 40mm(w) x 90mm(h) jar has a full colour sticker with printable area of 38mm(w) x 21mm(h) on the body, or 25mm (diameter) on the lid covering for your customised corporate logo and branding. The lid comes in lively colours of white, blue, and red, at your option. Our branded Rock Candy Tall Glass Jar is also a great option for promotional giveaway and trade fair displays. 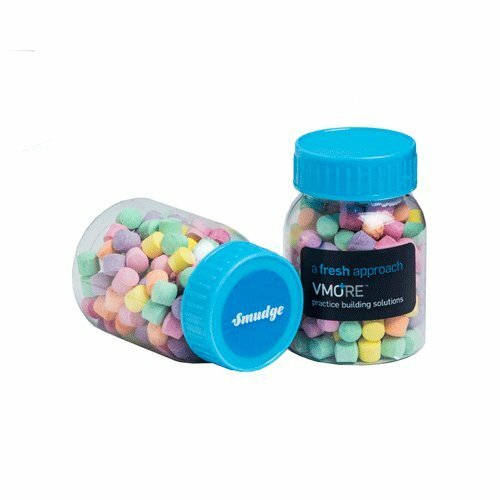 Delight your clients with 150g mouth watering personalised rock candies in different delicious fruit flavours of your choice. 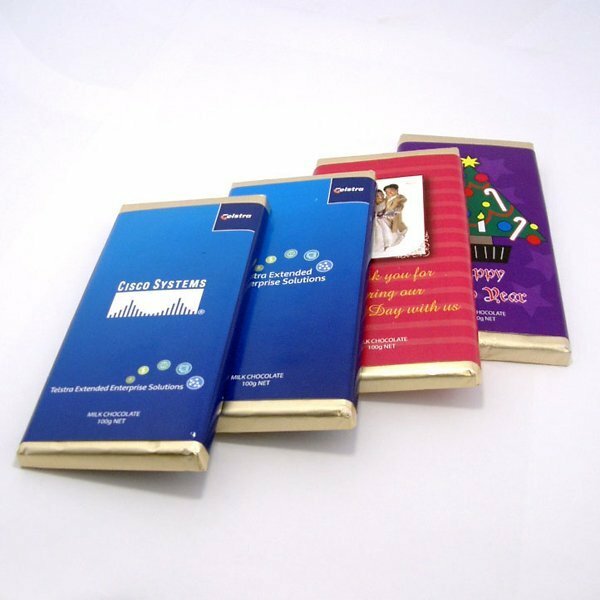 Our all time favourite promotional Macadamia Truffles which are made of the finest quality macadamias with a nutty praline centre that’s wrapped in delicious milk chocolate is also a perfect choice for corporate tokens and trade exhibits. You can also take your gifts a notch higher by including the custom embroidered Helmet Beanie as part of your giveaway products, so do check that out as well. Call us at our hotline number at 1300 008 300, or chat with us using our live chat box. You can also email us too. Our customer service experts will be happy to assist you.